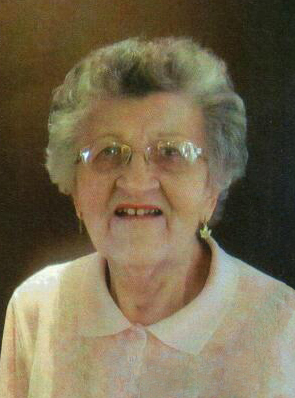 Elsie had a peaceful passing from her earthly home to her heavenly home, to be eternally with her Lord and Saviour. Elsie passed away on Tuesday, February 12, 2019 at Royal University Hospital. Born to Steve and Nuddie Kowalenko in Saskatoon on June 30, 1934. She was a Saskatoon City Hospital graduate and received her University Bachelor Degree from Saskatoon University Hospital. For two years she worked at Los Angeles General Hospital, then at City Hospital for the remainder of her nursing career. Elsie began her nursing career in 1956, and retired in 1994. She was also very active with City Hospital Nursing Alumni and many years volunteering at the Festival of Trees. Elsie was predeceased by her mother Nuddie, sister Eva and father Steve Kowalenko. She is survived by her brother James (Laura) Koal of Calgary, AB, her nephew Brad (Angie) Koal of Calgary, and their daughter Taylor (Charlton) Mason of Los Angeles, California, niece Tonya (Bruce) De Busschere of Blaine Lake, SK and their daughter Megan Haugrud (Mike Chudskov), also of Blaine Lake, and son Matthew Haugrud of Saskatoon, SK. The Funeral Service will be held at 1:00 p.m. on Tuesday, February 19, 2019 at Circle Drive Alliance Church in the Chapel of Prairies (3035 Preston Ave. S.) in Saskatoon. Following the reception, the Interment will take place at Hillcrest Memorial Gardens. Memorial donations may be made to Circle Drive Alliance Church or to the Saskatoon City Hospital Foundation (1900-701 Queen St., Saskatoon, SK S7K 0M7). Arrangements in care of John Schachtel – Mourning Glory Funeral Services (306) 978-5200.